Wearables, wearables, wearables. Everyone’s talking about them. Which was probably the insight that drove our cure Christmas number for the lovely people at Barclaycard this week as we worked with them to create and launch the trial of some rather natty contactless payment gloves … just in time for the Christmas shopping season (funny that). The team worked around the clock to turn out a last-minute Christmas “launch” for the brand and we produced a highly exclusive run of rather fetching gloves (for him and her) complete with Barclaycard branding by way of adornment. 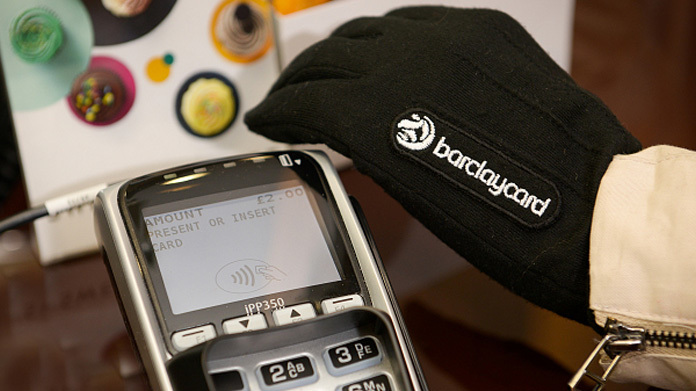 Enabling users to make payments up to £20 at any contactlessly-enabled retailer, the gloves worked a charm in the real world too. The launch has gone down a storm, with cracking coverage across the media. The nationals got on board with the trial as Daily Star, Daily Mirror, Daily Mail, METRO and Daily Telegraph all put pieces up within hours of their announcement. CNN, the BBC News Online team (yes, even Rory Cellan-Jones couldn’t resist a look at them and even made a little film at the BBC canteen) and SKY News all got in on the act. Then we made across the papers, with awesome pieces across METRO, the Daily Mail (twice), Daily Mirror, Daily Express. Add to that the likes of Pocket-Lint, Gizmodo, Yahoo! News and T3 – amongst scores of others – and it’s been quite a haul for the team across the media today.